I may be stating the obvious here but buying property in Costa Rica is no longer a secret and the rules on how to buy Real Estate are very different in Costa Rica then in the US. Unless you know the rules, or someone that does, you are at risk to make a costly mistake. I have been doing business in Costa Rica for over 20 years and in all those years I have seen the ups and downs in this market as well as the most common mistakes people make and during that time and which I would like you to avoid. Even with it not being such an unknown place to buy propery there are still enormous opportunities to buy a piece of land, a condo or a vacation home. And there are many advantages to doing so such as it being legal for foreigner so you don’t have to have a resident co signer and even after all its popularity, is still at a relatively low price for owning a piece of paradise. I think and hope the following tips and suggestions will help you avoid the mistakes that I have seen others make and that you find your own piece of this tropical paradise. Am I too late to buy property in Costa Rica? No, there are many exciting projects coming along as well as parts of the country that have not been priced out by speculators. There are however several places that are going to need several years before that market catches up to their current prices. If you know where to look and what a good price is you can expect to be very happy when you do decide to either trade up or take some money off the table. The problem is that by the time a new project or deal is announced most the upside appreciation is already gone. As in any investment you want to make sure you are getting the best information as well as the best price. In a growing market like Costa Rica there are suddenly a new group of experts that have been here less than a couple of years, never been through a full market cycle, and some do not even speak rudimentary Spanish that are eager to give out advice and take your money. 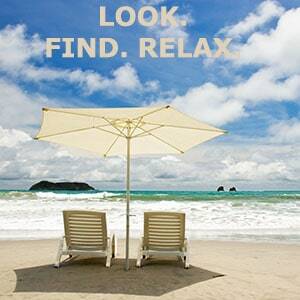 Its not hard to do because Costa Rica real estate easily sells itself. The difference between a good buy and a bad one you usually do not find out until you go to sell. Then its too late. 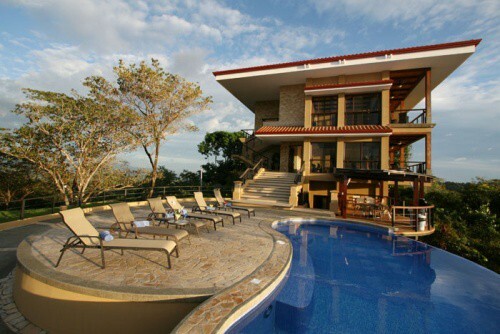 If you are considering making an real estate investment in Costa Rica you need first to decide what your goals are. Is this strictly an investment, recreational use or both? Is this a vacation or retirement home? How long do I think I may want to own it for? What do I want to spend for land and structure? What are the maintenance costs for the investment? What amenities/services must be close by? (hospital, good restaurants, shopping, airports) or complete solitude? After you have determined what your goals are, and BEFORE you start looking at properties I would highly suggest you read this note from whom I consider the foremost expert on Real Estate in Costa Rica. 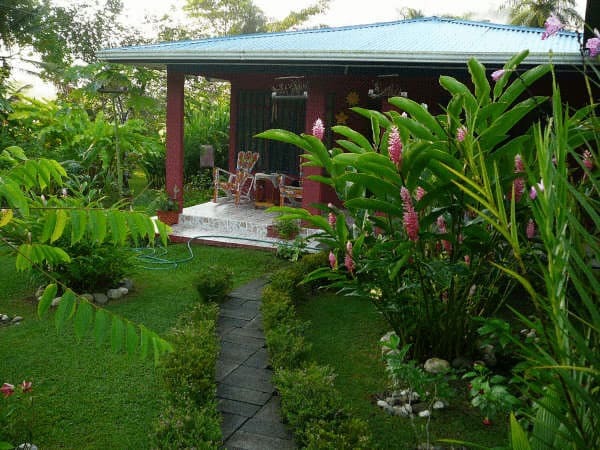 It will be help explain the potential pitfalls I have seen happen to people who went looking to invest in Costa Rica and is a great explanation of some of the obstacles you may run into when coming to Costa Rica looking for properties.. I think this “buyer beware” article, which may too brutally honest, is not meant to dissuade you from investing in Costa Rica but should only serve as invaluable piece of information that you should read so you are aware. “Is it safe to invest in Costa Rica?” This is one of the most frequent questions I get asked by the guests on my monthly retirement/relocation tours. During my nearly 30 years of living in Costa Rica I have had the opportunity to observe a lot of people make money and other lose it. I have also bought and sold a lot of property here and have currently have some sizeable money invested in property. Consequently, I have a good idea of what it takes to invest safely here and have seen many common denominators in cases where people have “lost their shirts” through poor investments, especially in real estate. The whole process basically boils down to perception and common sense. 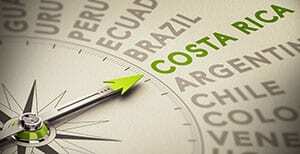 It is easy to over pay for something in Costa Rica if you haven’t done your homework. Because there is corruption, bribery in Costa Rica and most people have heard or read about the horror stories, most English speakers assume that if someone speaks English they are trustworthy. This is the BIGGEST mistake you can make. Just because someone speaks good English or is from the States, Canada or Europe does not make the individual a good person. Some people here will take advantage of naive newcomers. Here is an example. About four years ago while conducting one of my retirement tours near Dominical I met a portly North American who called himself Gringo Mel (not his real name but similar). He owned a hotel at the time and billed himself as the best cook in Costa Rica among other things. I should have known that anyone who was so full of himself had to be a conman. Anyway he told me he waned show me some property that he was selling because the owner was out of the country. We went there and I fell in love with the place. It had an incredible ocean view and a couple of building lots. I told him I was interested and to find out the price of the land and home on it. He told me was $165,000 dollars. A few months passed and the property and home had not sold. On my next trip to Dominical I mentioned to a friend who lives and works in the area that I was interested in said property. She told me she had talked with the owner and the real price was around $120 dollars. This meant our friend Gringo Mel was charging a $45,000 dollars commission as the middleman or 30 percent for his services. Needless to say, I never purchased the property but almost got taken to the cleaners by a fellow gringo. We know people who move here, and go into business and miraculously become experts overnight. Costa Rica is indeed a magical country! Many naive newcomers have been taken advantage of by other foreigners who call themselves “experts,” but are really incompetent imposters. So, be careful! 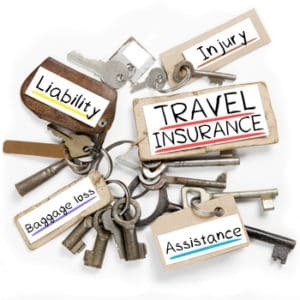 Ask for references from other foreign residents who have used the expert’s services. Don’t rely on the testimonials that appear on a person’s website. They may be slanted. If your expert will not give you any references, you will know immediately you are being duped or sold shoddy second-rate services. Also, try to contact the person’s last employer before they moved to Costa Rica. Again, if they will not give you the contact information, you can bet the person is hiding something. If a person who is not of retirement age and claims to have been highly successful in his or her former country, they may be trying to cover up something about their background. Check with the Association of Residents of Costa Rica to see if they are familiar with the person’s services. Enter the person’s name in a search engine such as Google to see what comes up. Be careful because many of these rascals use an alias. There are even companies you can pay to do a background check if you suspect something. Ask how long the person has lived in Costa Rica. If they have been here for less than 10 years, be careful. It takes years to understand this country. It takes more than a year or two to know the ropes. Many of these neophyte relocation gurus and entrepreneurs mean well but just don’t have enough experience under their belt. Find out what the person’s educational background was when they lived in their home country and if they have any formal training in the Latin American culture, studies or foreign investments. If someone was a plumber, janitor, welder or doctor, for example, prior to moving here, this does not qualify them to give professional advice in Costa Rica. Beware of colorful, well-designed web sites built by the so- called experts to express their admiration for the country to attract naive foreigners. Many of these sites try to scare you into to thinking their services are the only ones that can keep you from being taken advantage of. In reality, they are manipulating you into doing business through them. Be cautious of publications that appear to be helpful on the surface but incessantly hype the services of the person(s) or organization behind them. Over the years we have run into so-called foreign experts who live comfortably in upscale in “Ivory Towers” and gated communities in gringo enclaves such as Escazú. The majority of their friends are other English speakers, so they have never have really immersed themselves in the local culture. They are virtually still foreigners living among other foreigners. These people live in isolation from the real Costa Rica. Few of them have any contact with Costa Ricans except for their maids and servants and rich Costa Rican friends from the country-club set. They rarely venture out of their safe environment to gather the necessary experience to confront real life situations here. Most live as if they were still in their home country, and give advice about a country and culture they really don’t know. Most important find out if the person is truly fluent in Spanish. There is no way a person can have expertise unless he or she can communicate with the locals and understand the nuances of the local humor, culture and language. Beware: there are many foreigners who say they speak fluent Spanish with a vocabulary of only a couple of hundred words. I have run into many of them in my nearly 30 years here. Always ask to see a person’s residency card with their real name on it. Many Americans are working illegally here. Would you buy property from an illegal alien in the U.S.? I hope you found this informative and If you are thinking about retiring or investing in Costa Rica and want to make a vacation of it then you may want to try one of Christopher Howard’s tours. Tell Chris taht Rob sent you and he just MAY give you a discount. His tours are tailor made to show you “the ropes” about what its really like to live here and what type of Costa Rica properties are available.